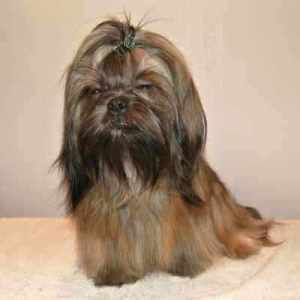 This page is devoted to our Shih Tzu Dads and other special guys that live with us and that make the cutest puppies. These dogs are first and foremost our pets and they are treated as such. 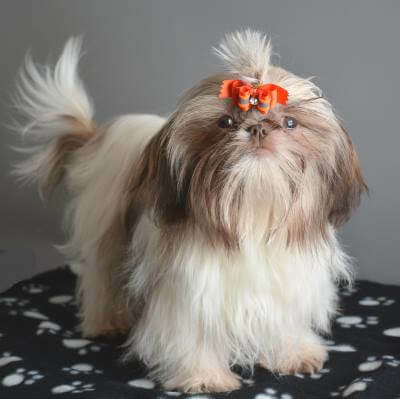 Our Adult Shih Tzu Males are AKC registered and DNA checked. We x-ray our adults for Hip Dysplasia, check knees and eyes and general health before using them as stud. They are not for sale. He is our gorgeous 9 pound brindle colored Shih Tzu with a super thick coat and tons of personality. Sadly, his father, Mr. Kool Beans has passed on and we truly miss him. Now, Toby is anxious to assume his father's job. So far, he's doing an excellent job! He may be small, but you know what they say, "The Best Things Come in Small Packages." He's turned out to be quite the "ladies man," and some of our girls don't have eyes for anyone but him. 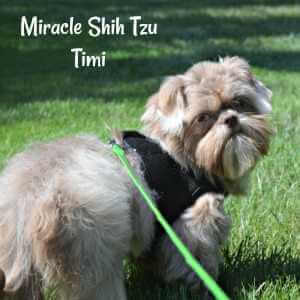 Timi comes to us from the same breeding kennel as Ketchikan above. He's little and lavender and very interested in the girls. We're hoping he will make a great addition to our breeding program. 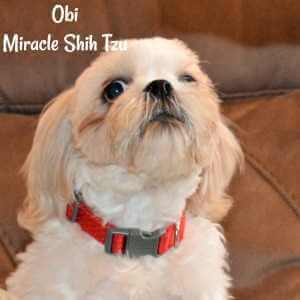 Here's our very own Obi Wan Tzunobi all the way from Texas. Obi is our youngest boy and wanna-be-stud. The girls love him already but he's still a little young. Clocking in at 10 pounds, he's white with just a little gold. Do you have questions or are you interested in a puppy? Please use the form below to contact us. We try to answer all e-mails within 48 hours. If you have not received a reply, it might mean that there was some glitch in cyberspace. This is really the best way to reach me. We screen all of our phone calls, so it is best to contact us by the form below as you are most likely to get a quicker response. Please resubmit the form if you do not hear from me. Thanks for your interest in our babies. We look forward to hearing from you.